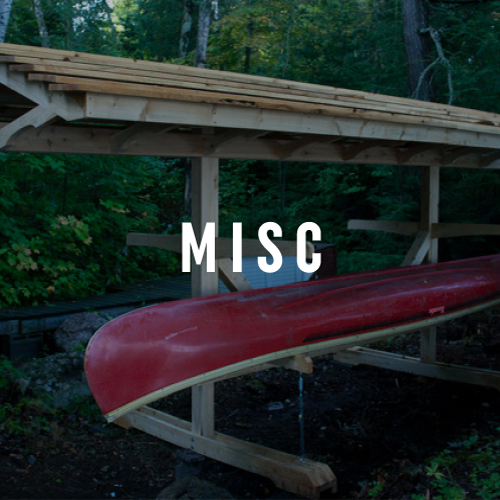 Our projects are always custom-built for the individual needs of each of our customers. 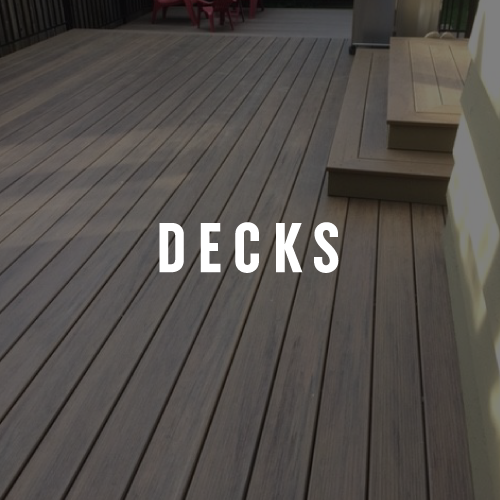 We never use nails or staple guns; instead, our deck projects are constructed entirely using stainless steel screws for industry leading quality and durability. Posts are set 3 feet into the ground and anchored with cement for optimal integrity. Our projects not only look great but are built to stand the test of time. We offer cedar and pressure treated fencing options as well as cedar, trex, azek, timber tech, red balau, ipe, tigerwood, and vinyl deck choices. All of our projects are backed by a 7-year workmanship warranty that is offered in tandem with materials manufacturing warranties. We are fully insured through Trushield Insurance, we’ve maintained an A+ member rating with the Better Business Bureau since 2004, and we’re a HomeStars Member and HomeStars “Best of” award winner. Beautiful designs and durable construction have allowed Cedar Coast Fence to build an unparalleled reputation throughout Vancouver and its surrounding communities and we know that our 20 years of success in this market is all thanks to our excellent client base. Owner and operator Nick Sheppard was taught many aspects of building by his father, and now a father himself, Nick is keenly aware of the values of accountability, excellence, and integrity – values that drive Cedar Coast Fence. Contrary to popular advice, we did not get 3 estimates from different companies prior to hiring Cedar Coast Fence to do our project. After reading all the positive reviews, we knew Cedar Coast Fence was the company we wanted to use. Nick Sheppard (owner) is a professional who can custom build any deck or fence for you, using top quality workmanship and materials. Nick is honest, hardworking and amenable to questions and concerns. He is a true craftsman, has years of building knowledge and experience and great attention to detail. There was no deposit required to start the project and Nick likes to do one project at a time. Our new deck and new fence looks great, so sturdy and strong. We feel very fortunate that we discovered Cedar Coast Fence and that Nick was available to build us our deck and fence. I hired Nick and Chris to do some custom cedar fencing, including a retaining wall and a custom double gate. I could not be happier. If quality that will stand the test of time is what you are looking for, you've found it. The work is beautiful, done in a timely fashion and all my neighbors love it too. Planning and communication was excellent from start to finish. Services also included removal of my old fencing. Nick and his crew did a fence for me 7 years ago - he came back and built one more customized than my first. The quality out does his competitors, price is comparable, but service is what will win every time. I have small kids and his crew interacted with them in a fun, polite-full way. No concerns about safety....these guys are professional and personable all the way! 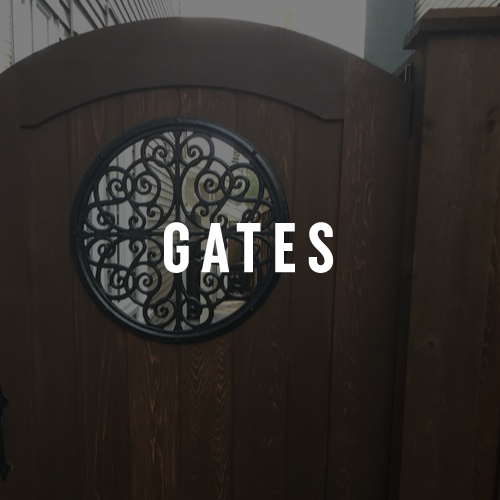 Like many here, I contacted Nick about building a custom front gate with iron insert and sent him some photos. When I finally found the iron insert, he came by and told me what was possible. He drew a sketch on the spot. He was wonderful from the start, ordered the wood, and designed a gate that gets rave reviews from neighbours and folks passing by. He is incredibly skilled, knowledgeable, and has great integrity. Because he's such a find in the area of gates and fences, you might want to book him in advance. He was worth the wait. We are absolutely thrilled with the high quality and amazing service and grateful to Nick for realizing our vision. Nick built us a large gazebo/ arbor in our back yard! We are in love with the quality and workmanship that was put into it! Nick has an incredible talent when it comes to working with wood! He has exceeded our expectations again! This is the 2nd big job we have had Nick do for us and we are considering hiring Nick again for another project we have in mind! You will not be disappointed with what he has to offer! We hired Cedar Fence and Nick Sheppard to remove some old rotten fences in our back yard and replace it with new cedar fencing. Nick and his crew were fantastic. They were on time and budget and working extremely hard. I would highly recommend them and will 100% use them in future. Thank you! Cedar is very expensive these days but Nick made it worth the cost by building a beautiful deck. His workmanship is simply superb and we could not be more happy with the result. He also built us two new benches to replace those that were falling apart and sanded and stained our old cedar table so that they beautifully complement our new deck. He also helped us with other issues with our downspouts and garage. Nick is so easy to work with; he had built a fence for us ten years ago so I was confident he would do a great job with the deck and he did. We couldn't be more pleased with the results of our beautiful new deck. The materials used for our job were of the highest quality and what was once an eye sore is now one of the finest features of our home. Nick is a true craftsman, and pays great attention to detail. Nick cares about the work he does and the finished product shows it. The deck turned out so well, we had Nick return and build a beautiful 2 tiered stairway to an upper yard area. It is now the focal point of our yard. We highly recommend Nick! Nick came to look at the site and spent time talking to us about what we'd like in our deck. He had ideas that we hadn't thought of, and definitely improved our design. The glass and wood railings look far better than any aluminum railings I've ever seen. The quality of the work is great, and he went over and above to ensure that the deck and the space around it was safe and useable. Ten out of ten for workmanship, communication and speed of work. I'll recommend Nick for anyone who wants a quality deck. To discuss a specific project or schedule a free estimate.